Compete with some of the biggest names in the industry with Webtron's robust, and professional online auction system. Generate increased bidder activity and boost auction profits with your own branded auction hub, run on your own company website. With Webtron, we provide you with feature-rich, quality auction software to put you ahead of your competition. Conduct branded live or timed auction sales from Dundee, and have them streamed out to online bidders in the UK and beyond. Our Online Auction solution is proven, with 10 years of experience with helping auction companies just like you sell industrial plant and machinery online. We provide a complete, professional and quality online auction solution designed to help Dundee auction companies increase sales, boost profits, and cultivate long-term bidder loyalty. And with mobile online bidding capabilities, missing an auction is a frustration of the past. Why force your customers to travel long hours in search of the right excavator? 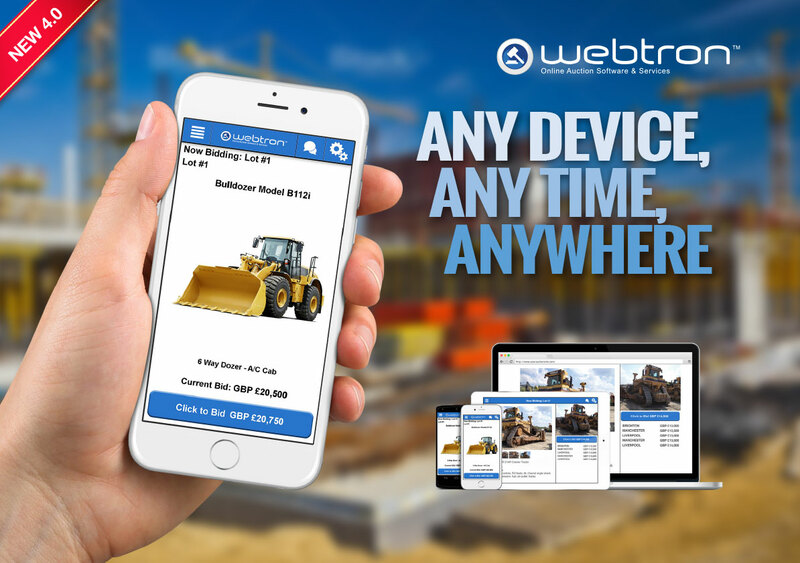 Webtron invites you to host your own plant and machinery auctions online, and take advantage of the growing number of bidders wanting online auction convenience. No expensive hardware required - copy and paste a simple line of code to get started! Runs from your own website! Webtron's Online Auction software is proven. Dundee auctioneers can expect countless opportunities for business growth. Why not ask us about it? Timed or live webcast format? Once set up, timed auctions run on your website automatically. This gives you the time to focus on your auction marketing activities. With a live webcast auction, you can create excitement and entertainment around your auction event and give your business the added exposure it’s looking for. Dundee auctioneers: don't wait another second. For a feature-rich, powerful online auction alternative, contact Webtron on 0844 579 117 now.